The speculations about the “I is coming” event which will be held in New Delhi is coming to an end with a lot of valid rumours pouring in with update that the I mentioned in the event teaser is the version of Mi 4 which will be launched exclusively in India in a Global event. 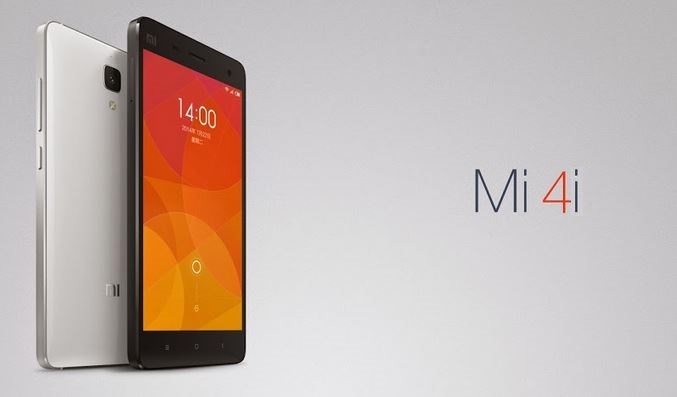 Coming to the speculates specifications the Xiaomi Mi 4i it comes with a 5 inch Full HD display and will be powered by Snapdragon 615 processor which comes with a 64-bit Octa-core processor with 1.65 GHz and it will be supported by 2GB of RAM. The name of the device was certified by Singapore’s Infocomm Development authority as Mi 4i, and it was said to be released in 2015. Earlier we mentioned about spotting of a device from Xiaomi which was code named Xiaomi Ferrari which was spotted in the benchmark listings and if the rumours are true it is the Xiaomi Mi 4i which seems to be the case because the specifications of the leaked device match exactly to this device. The launch event by Xiaomi is going to be a huge one with it being a Global event and CEO & Founder Lei Jun, President & Co-founder Bin Lin, and VP Xiaomi Global Hugo Barra will al be present in person at the event, which means it is going to be a big launch event and that we can expect something big. Xiaomi is also giving Mi Fans a chance to attend the premier with a free ticket. 10 fans will get privileged access to the premier and an exclusive session with Hugo Barra which can be found in the registration page on the Xiaomi India site. With almost less than a week to go for the event and the leaked specifications of the device which might be launched in the “I is coming” event in Delhi the anticipation and excitement levels are reaching a peak with the Xiaomi fans and Bloggers as well.